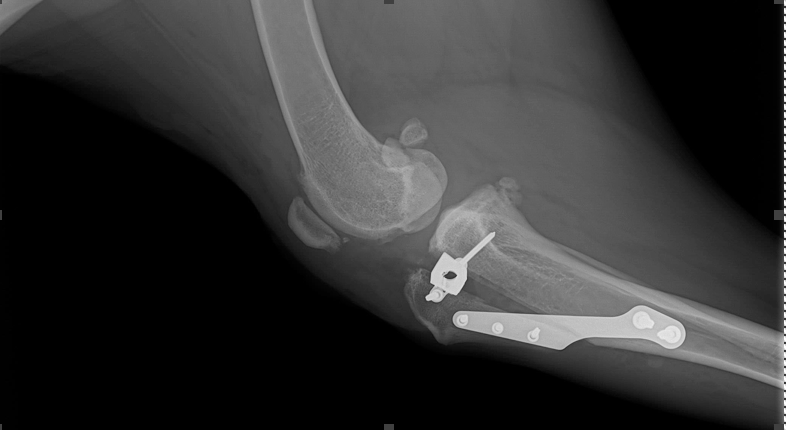 The intra-articular component of canine cranial cruciate ligament (CrCL) disease remains poorly understood. Areas of active investigation include the timing of synovitis in relation to ligament damage, the reason inflammation affects the CrCL while not affecting other intra-articular structures and finally, the relative contribution of the biological component of CrCL disease versus the mechanical component of CrCL disease. What is certain, however, is that once torn, the ligament does not heal. It is theorized that being suspended in a fluid (synovial) medium prevents the partially torn cranial cruciate ligament from getting through the first stage of wound healing: clot formation. The nature of the synovial sheath covering the ligament as well as its’ blood supply may also play a role in its’ inability to heal. Our best recommendation for partial CrCL tears is surgical intervention. 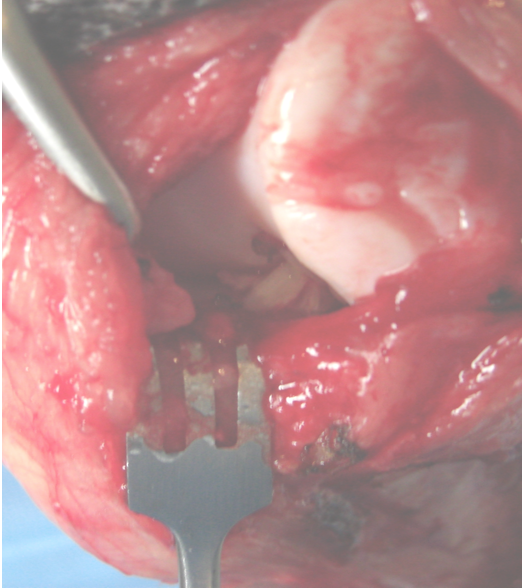 We suggest that addressing the intra-articular components (medial meniscal assessment +/- debridement of damaged ligament) and providing stability will offer a better long term outcome by slowing the progression of osteoarthritis earlier in the process. The vast majority of medically managed partial CrCL tear patients experience steadily progressive lameness and muscle atrophy that invariably progresses to more severe lameness when the ligament tears completely or the medial meniscus becomes damaged or both. Meanwhile, the surgically managed patient has less overall muscle loss, less overall lameness and less overall osteoarthritis. They enter surgery in a better overall plane and therefore enjoy a better short and long-term recovery. Lateral parapatellar open arthrotomy view of a partially torn left CrCL. Note the amount of synovitis, entheseophytosis and osteophytosis present in this relatively small partial tear. Postoperative lateral Tibial Tuberosity Advancement (TTA). TPLO and TTA offer the best outcome following a partial CrCL tear.